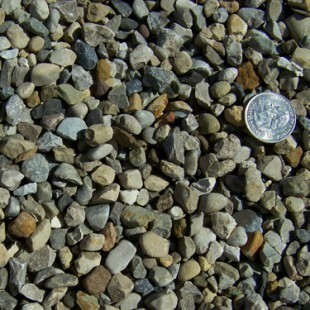 3/4 – 1” clean rounded gravel. It is used in drainage applications. 57’s are also used as a base underneath concrete. 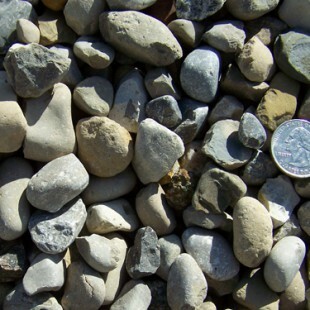 It is also common to use this material as back fill for foundations and in crawl spaces. It is 1.25 ton per cubic yard. 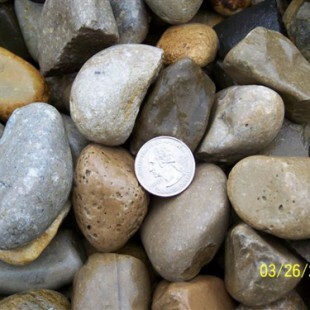 1/8” TO 3/8″ clean rounded or partially crushed gravel. Can be used as a decorative ground cover. It can also be used under concrete, and for backfill. Some use this material as a ground cover in dog kennels, but always checks with your veterinarian for a recommendation on material to use in the application. It is 1.25 ton per cubic yard. 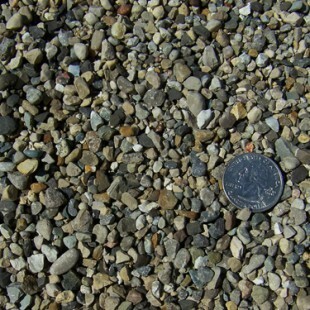 Small rounded gravel. It is almost like round BB’s. It is used a cheap fill material. It is 100% compacted dumped into a hole. It is 1.35 ton per cubic yard.